Proud Past - Inspired Future is an exciting program for African American sophomores and juniors attending WGHS. Participants have the opportunity to create expressions that reflect both the pride they have in their past and inspiration for their future. Students can choose how they express their pride and inspiration – deciding to write an essay or poem, compose a photo exhibit, write a song, sketch or paint a picture...whatever form of expression a student chooses. 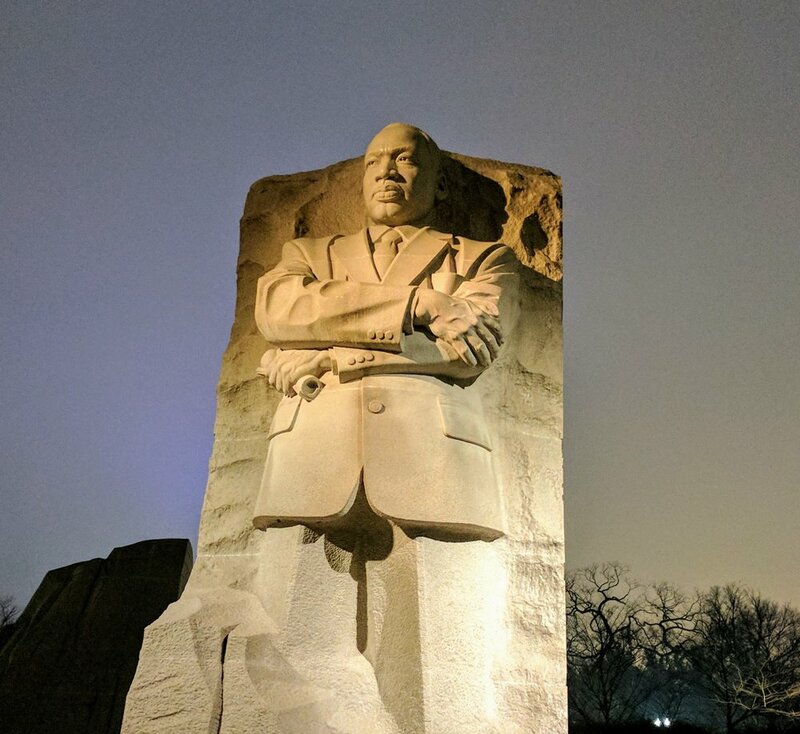 Students will tour the National Museum of African American History & Culture and will have time to visit other sites, like the Jefferson Memorial pictured here. 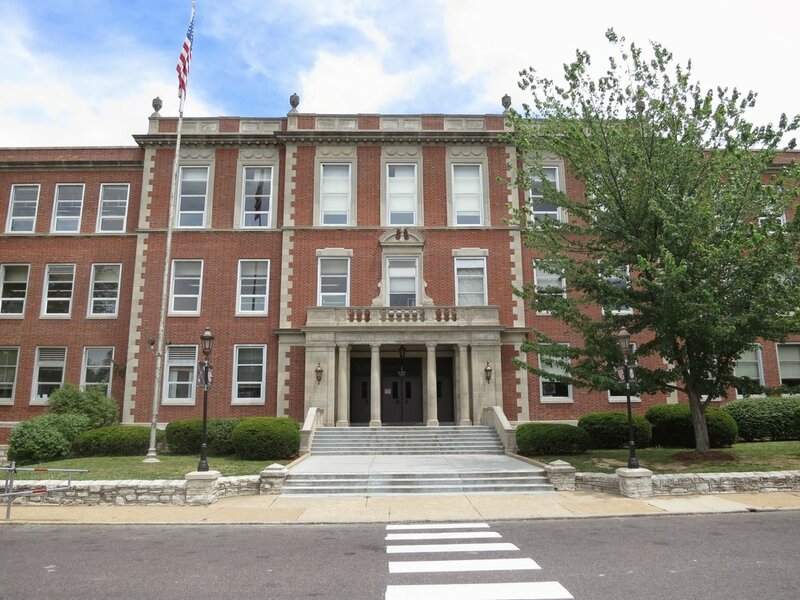 Grand Prize Winners will Travel to Washington, D.C.
Students will be accompanied by WGHS faculty members Julie Burchett and Dana Miller who will provide experiential learning opportunities throughout the trip. Students interested in participating in the PPIF award program should first complete an online registration form. The registration form is due by midnight CST November 8, 2018. Once the registration form is submitted, students will receive a Project Submission Form and will be contacted by the Chelsea Center, which will offer guidance and support for development of PPIF submissions. The Project Submission Form and student projects (essay, artwork, etc.) are due to be submitted in the Chelsea Center by 12pm CST on December 4, 2018. Click HERE to Register for PPIF 2018-19. 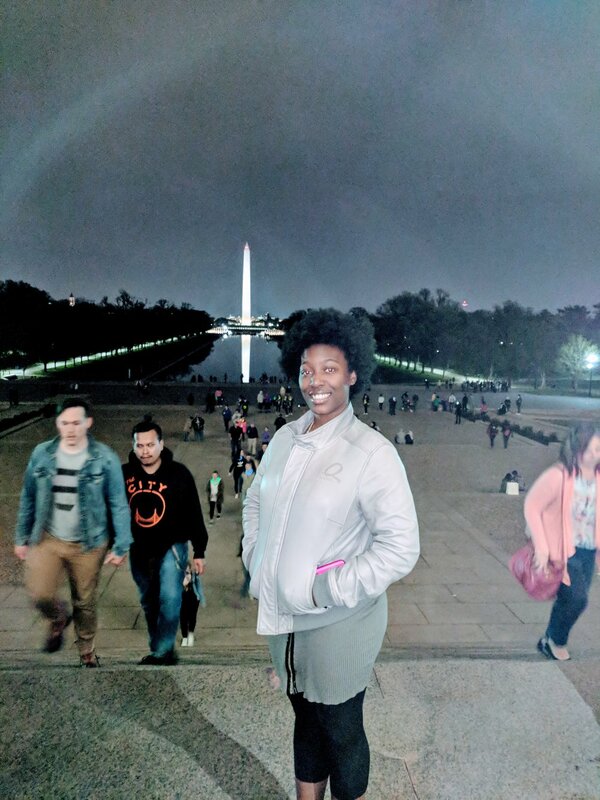 Aysha Grey, Grand Prize Winner 2017-2018, enjoying the DC Night Monument tour. Research into “Proud Past” element will be required. Student’s research must be reflected and represented in the student questionnaire. Complete entries are due to the Chelsea Center by noon CST on December 4, 2018.